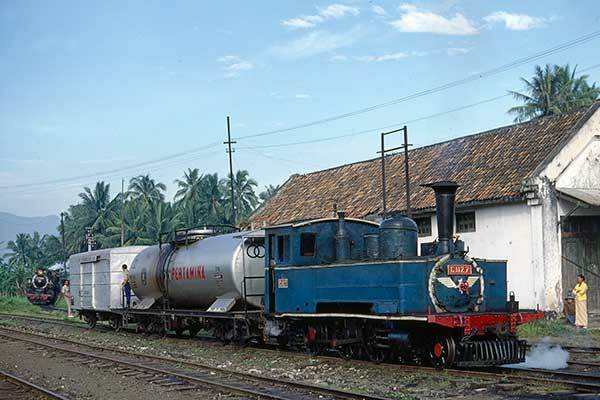 Caption - C1127 shunts a Pertamina oil tank and van at Cibatu. A CC50 Mallet can be seen on the left of the frame. Pertamina, Indonesia's State Oil Company, was one of the largest sources of traffic for the railways at this time.